I don’t know about you, but I love a good soft release…oooer. But seriously, I do rather like having a soft release button on my camera. I feel like it gives me more control and makes for faster shooting. 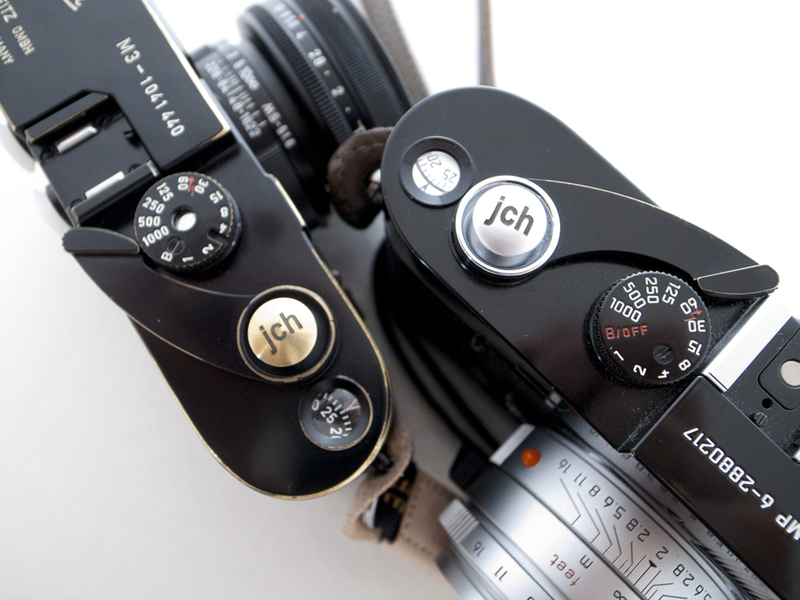 An added bonus is that it personalizes your camera, which I think a great many of us like to do. As a result of this I have been working with the great Luke Satoru to produce JCH soft releases. 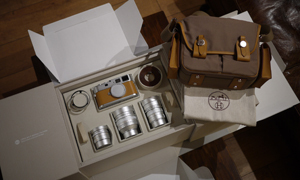 Luke Satoru is no stranger to making fantastic camera related things. 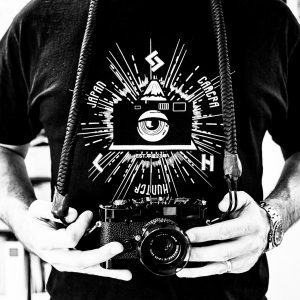 He made the beautiful camera jewellery that can still be found on my site. We have been talking about putting out a soft release for a while, as I thought it might be a nice touch, and there is no-one I would rather have make them than Luke. So Luke has sent me these prototype versions to see how we get along. So far I am very impressed by them. The build quality is excellent and I think that they will weather well over time. The letters have been filled in with black paint, which should change quite pleasantly with use. There is only the protruding button type at the moment, though concave is a possibility too. Also different colour paints are probably going to be an option. But these are prototypes and what I really want to do i find out what you want and what you think. What do you guys looks for in a soft release and how would you want these to look? What I am really looking for is your comments and suggestions, because at the end of the day, these are for you guys and I really want you to get what you want. I know we cannot please everyone, but we can certainly work together to make something really cool. So, comments and suggestions please. And before you ask, I don’t have any pricing information at the moment, so that is something I cannot comment on, but I would like to make them affordable to all. Oh and these are going to fit any camera that has the hole for a release cable on the shutter button, so SLR’s and rangefinders will be fine. Nice work. But an option with no text would be good. Mine would be going on an X100s. I enjoy your site. Very good but I don’t know why I would want your logo/name/brand on there. If I’m personalising it I would want my initials on it. Nice shape and it looks to be good quality. My ony feedback (being honest here) is that I’d rather have design options other than your logo. Or possibly having the ability to do custom initials. They look fantastic, really digging the brass one. I was thinking, that maybe if it was possible to get a concave black painted brass with white or chrome painted letters, so you cloud get some of that lovely brassing going? Ps Thank for this brillant site! I use a well beaten concave one so I wouldn’t mind that as an option? I like this idea a lot. Would you run into copyright issues? If not, great idea! Well if it we could order these with our own initials or logo I’d be all or it but if you are going to have to pay use a monthly fee to put your initials on our cameras. 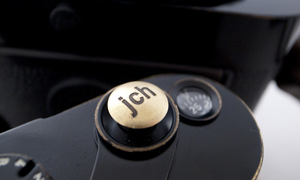 JCH is a brand… not your initials. Nice. 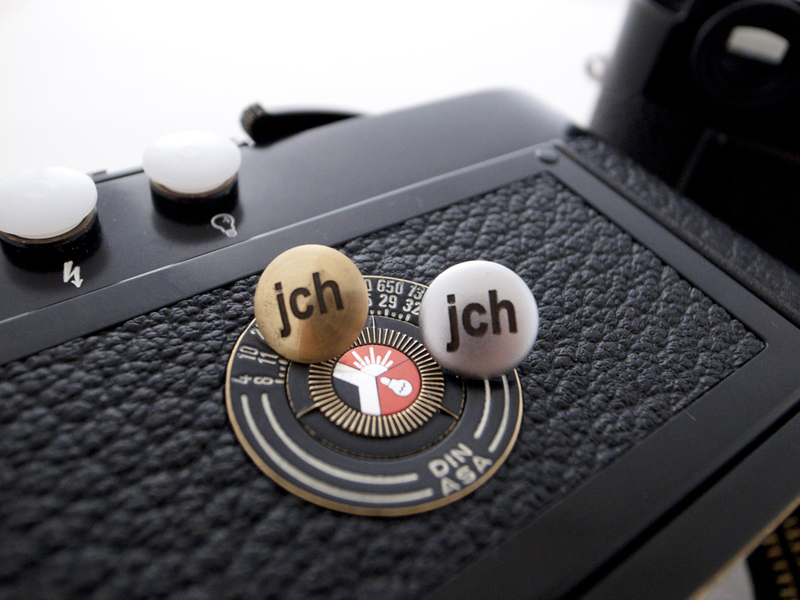 Personally I’d like to see your logo laser etched on the button, rather than ‘JCH.’ My .02. I already use one for all my cameras. I’ve also tried a variety of styles. The one I like the most, is the convex style bulging out. – I personally have much larger hands. I prefer the thicker soft releases (the ones i like the most are the ones that tend to look like a lady bug.) Even though it is only a few milmetres, I feel the difference. To me it is the difference between getting a handcramp at the end of the day. Well, to be honest, this is a website for a business. Yes, there is a lot of cool stuff, stories and info too. 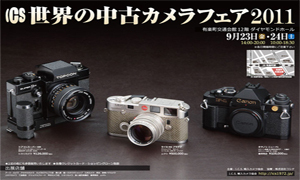 But in the end, this is a site to promote Japan Camera Hunter, which is one way Bellamy is supporting himself. Good for him being able to do something he loves and find a way to build it into a business. I don’t think the logo on the soft release is out of place. 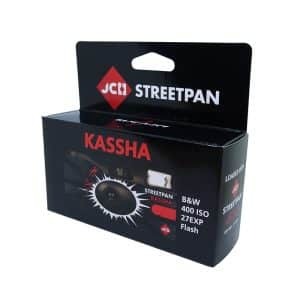 I don’t think I would want one for myself, but then I am known to put gaffer’s tape over my camera logos anyways. There are tons of plain soft releases on ebay and anywhere else. Buying one from Bellamy is a choice to support his business, just like buying a “Dodge & Burn” t-shirt (which has their name on it too). If I was to make a comment about the design of the softrelease logo, I would say have it made with the little camera log with the face in the lens that is at the top of the page. I have always liked that logo, and it certainly has a bit more style than just the initials. Probably would increase the cost, and maybe require a simplified logo, but I would buy one of those just for the “nifty gadget” factor. Thanks for the great site Bellamy. The metal or alloy used is important, also. You REALLY don’t want to have a soft release snap off inside of your shutter button (been there, done that, got the T-shirt)! It’s gotta be soft enough not to cause damage to the threads, but hard enough not to snap off under normal use. To me, functionality is key and design is a close second. Small size like the prototype is a good ides, as this is suited to more cameras. I have to agree about the jch logo. Bellamy, I love your site, but I don’t want to pay to promote it for you! :) No logo option, please,or the option to personalize with my own initials or name in a nice font. I’d actually be willing to pay more for that! I dislike logos, so whenever possible I try to avoid using them, especially on clothing etc. Sorry Bellamy, the lettering is not for me. 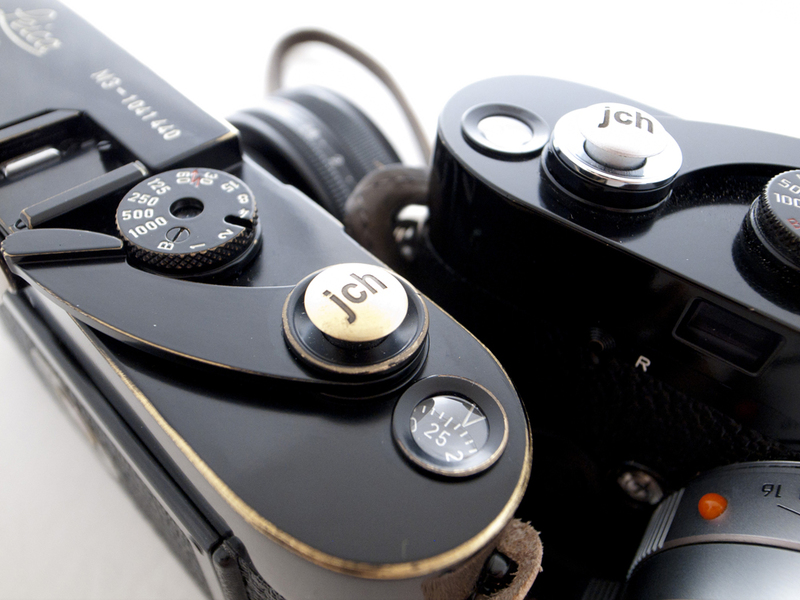 Though I would maybe try a plain brass concave one for my M6 TTL. Looks nice. But I woud prefer a logo instead of the letters. 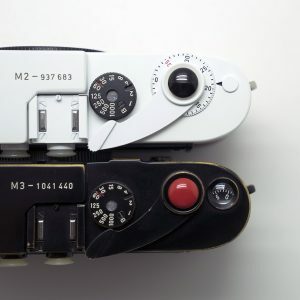 And if you can make them in Zeiss Blue that would be awesome. I very much like the idea and I like the material as well…I also would not mind your Logo on them, as I am a fan of what you are doing. What would however be cool, if you can have them in Kanji or using some old traditional Chinese characters. I know there is only place for one or two characters, but that could be cool enough. Agree with others, it seems – JCH aren’t MY initials, so means nothing to me. Nice look, nice quality, wouldn’t buy as it stands. Sorry Bellamy! Personally I prefer concave soft releases a little bit over protruded ones. I think a JCH branding is totally legit, but I’d like it to be a little smaller (maybe engraved on the edge or something). I like to use a soft release, only concave, because I shoot more efficiently with. 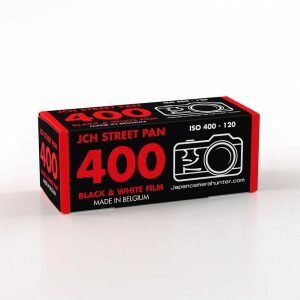 If you made it without the logo in a good quality and with this old aspect, I want one – or two!! I like soft releases, I use them on all my Nikon F2’s. I lost my right index finger tip in an industrial accident a couple of years ago and I find that the soft release makes tripping the shutter so much easier with the stump of what’s left. The ones I use are genuine vintage Nikon, I’m funny like that. I think your branding is fine and I’m sure it will sell but I agree that perhaps a range of brand name items might appeal to the enthusiast. How about some that simply say something like use film, or just film. These look good, soft releases are always good. I have a nice lady bird one from Map Camera on my Leica. The shape on these is steep enough to make a difference but not stick too much out of the camera. Also the text would add a nice feel to it so that you know you’re touching it. I do agree with the other comments re: the JCH. 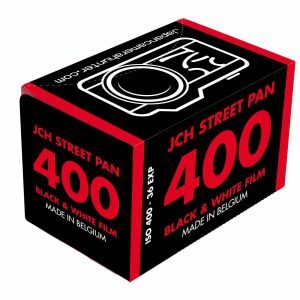 I enjoy your branding on the JCH film case because it is subtle. Perhaps there is a less obvious alternative for these. . .
Branding on the edge of the softie? Or underside? Hi Scott, I think you need to clear the chache on your browser. There have been bag posts everyday. Hi Bellamy. Strange. I checked my browser. My phone. My ipad. My rss reader. All of them show April 25th as being the last bag post. Is that correct? Not at all, I post one every single day. The same thing happened to a couple of other people and they fixed it by clearing their cache and cookies. I’d like to thank Bellamy for the opportunity to work with him on this project. The input that I’ve received from him and his readers has been invaluable. He and I are dedicated to producing a quality product, first and foremost. Already working on the next set. Keep checking in on JCH for further updates. 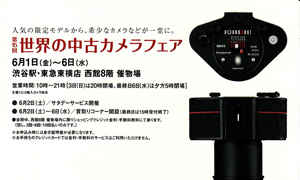 I’d buy this release if it provided something new such as a lock system to avoid lost frames when leaving the camera in the bag. I had to stop using mine by that reason. Without something like that this is just ANOTHER release but much more expensive than the other you can find on ebay. Lock system could be very interesting, i agree. I’m not a big fan of logo/JCH. I think photographers loves the “stealth approach”. In wood, a soft release could be a winner too (like http://artisanobscura.com/ ). 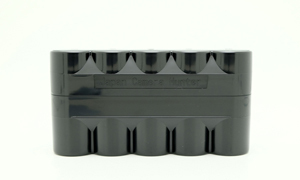 I´ll be happy owning at least three concave buttoms for my cameras. 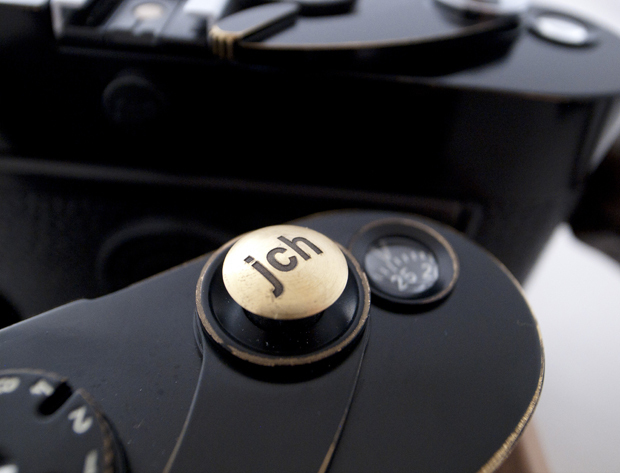 But, as have been said, I´d do prefer to see my own initials or blank rather than JCH letters. Please make me know when you decide to make it and sell. Hi there, the soft release that are sold are blank, no letters. The letter type was only a prototype.